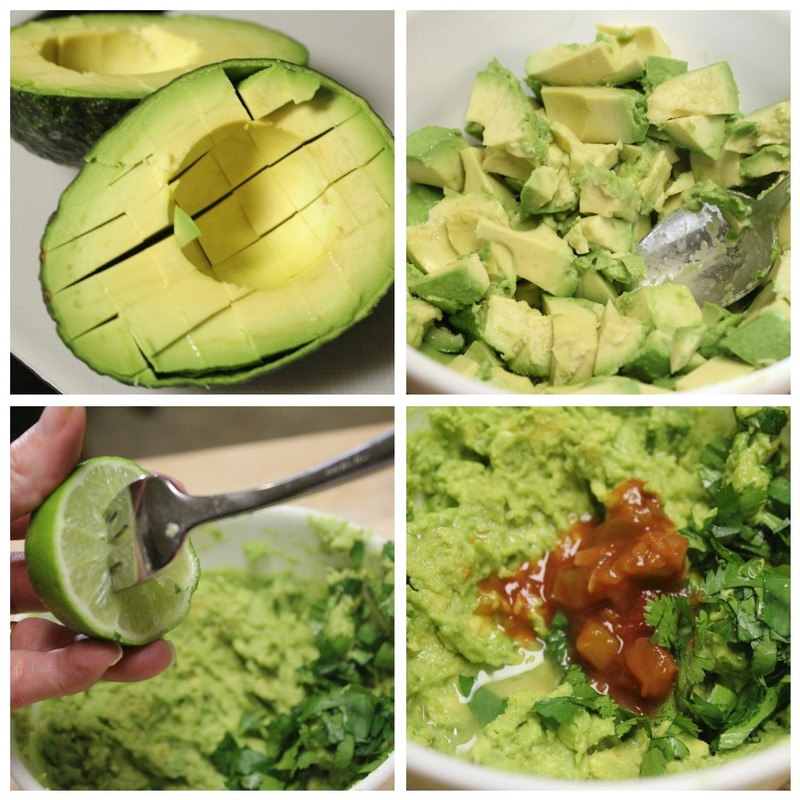 – Start by cutting & pitting the avocados. 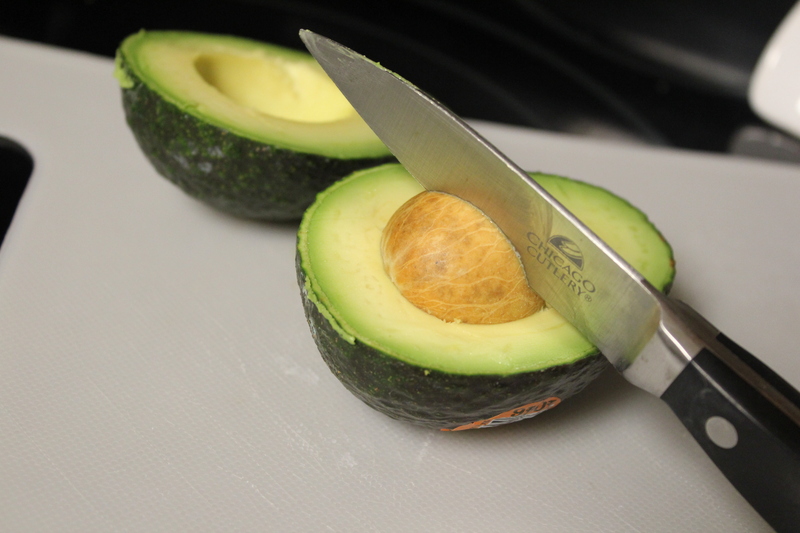 If you haven’t worked with avocados much, the easiest way to get the giant seed out is to smack your knife right into it (so it sticks) and then twist a bit. – For ease of mashing, I cut the avocado right inside the rind. Then, just scoop it out with a spoon into a bowl and mash it well, with a fork. – For the amount I made (which was 2 avocados), I juiced half a lime and chopped up the leaves from two cilantro stems (straight from our garden 🙂 ). 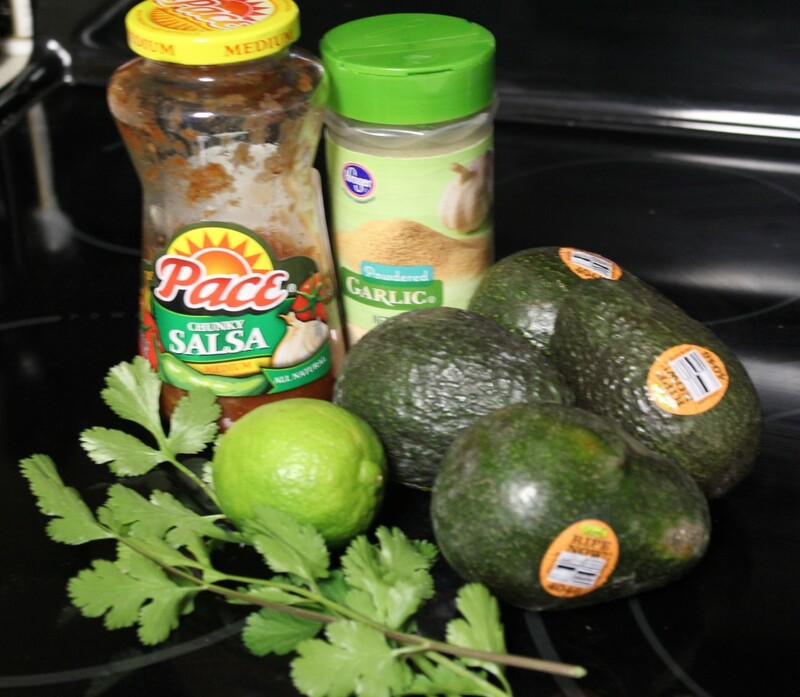 – Add 1 -2 TBSP of salsa (or more depending on your tastes) and sprinkle in some garlic powder to taste. YUM! This seems so quick and easy – will give it a try for sure! 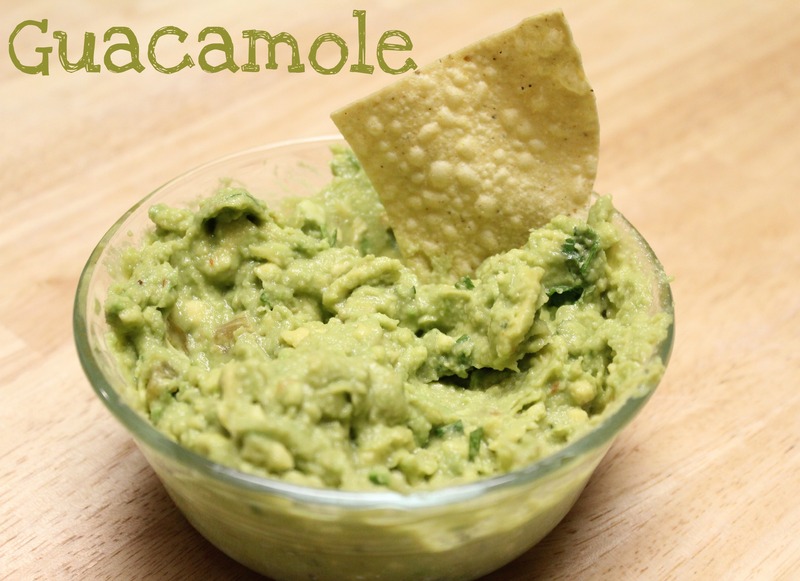 We lo e guacamole and i just made a batch tonight. I’ll have to try your recipe too.